Grassland fire disasters have occurred frequently and adversely affected livestock agriculture and social-economic development greatly in the grassland regions of Jilin province, China. Moreover, both the frequency of grassland fire and loss from them are considered to be increasing with the global warming and economic development. 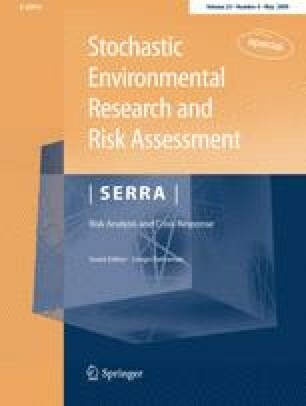 This study presents a methodology for risk analysis and assessment of grassland fire disaster, taking western Jilin province as a case study area based on geographic information system (GIS). The composite grassland fire disaster risk index (GFDRI) combined the hazard of grassland fire, the exposure of the region, the vulnerability and emergency response and recovery capability for grassland fire disaster of the region were developed to assess and compare risk of grassland fire disaster in different counties in western Jilin province, China using the natural disaster risk index method (NDRIM), analytic hierarchy process (AHP) and weighted comprehensive method (WCM). Then, the risk degree of grassland fire disaster was assessed and regionalized in the western Jilin province, China based on GFDRI by using GIS. It is shown that the most places of western Jilin province were in mediate risk. Zhenlai, Tongyu were in heavy risk. Taobei, Ningjiang, Fuyu were in light risk. The information obtained from interviewing the district official committees in relation to result compiled was statistically evaluated. The GFDRI was developed to be an easily understandable tool that can be used to assess and compare the relative risk of grassland fire disaster in different counties in t western Jilin province, China, and to compare the different relative contributions of various factors, e.g., frequency of grassland fire and quality of emergency evacuation plan. The GFDRI is specifically intend to support local and national government agencies of grassland fire disaster management as they (1) make resource allocation decisions; (2) make high-level planning decisions; and (3) raise public awareness of grassland fire disaster risk, its causes, and ways to manage it. The study is supported by the 15th National Key Scientific and Technological Project under Grant No. 2004BA528B31), the National Key Technology R&D Program of China under Grant No. 2006BAD16B0422.